Product information "5 Maple leaf 3D Bird 1 day cuckoo clock"
This is a wonderfully made cuckoo clock. With a 1 day mechanism which you have to wind up ones a day. 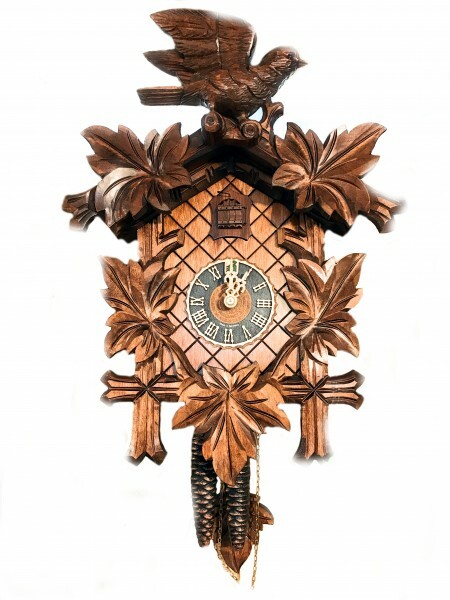 The Clock features a cuckoo bird that sits between Maple leaves. Related links to "5 Maple leaf 3D Bird 1 day cuckoo clock"
Customer evaluation for "5 Maple leaf 3D Bird 1 day cuckoo clock"